The LLM taught me specialist research skills and I feel that I am a far better lawyer having undertaken the course. I chose to study LLM Legal Practice at Nottingham Law School by distance learning because I like the college system, the course contents and the flexibility of the course. The School also has experience delivering high quality postgraduate law degrees by distance learning. I also found the programme to be both stimulating and challenging. The Master of Law has deepened my knowledge and enhanced my critical thinking skills in my area of practice. I had already worked for over fifteen years in the legal firm and I wanted to advance my knowledge and acquire new skills in order to advance in my career. Therefore, I decided to pursue a postgraduate qualification to deepen my knowledge in study of arbitration and arbitration law, and to open the possibility of doing academic research in the future. The key features that attracted me to this course is that the best thing about the course is flexible the students are given to pursue your own specific interests and subjects. The course is quite challenging and makes me constantly reassess my preconceptions and look at issues from points of view that I had never considered before and I am developing my skills. The course is really interesting and well-structured, which opens my eyes to new approach and ways of thinking about them. I will get regular support from the expert tutors by email. They will guide me through my programme and offer advice and feedback every step of the way. The course will also help me to develop a sound understanding of legal cultural context, develop the skills to carry out effective legal research and enhance my forensic legal skills such as analysis, critical evaluation, logical thinking and argument. I think the course will help me with my career aspirations as the Master of Law provides opportunities for students to advance their career in the field and gain access to fresh employment opportunities. My learning materials are developed by subject specialists and have been developed with my present and future career in mind. The topic of my dissertation is a Comparative Analysis of the Arbitration System between Hong Kong and China. As I am one of the members of the Chartered Institute of Arbitrators, I believe that can make use of my experience and knowledge of arbitration. The academic team have synthesised the most up-to-date and robust research on what helps me learn well, progress well and succeed. I will gain knowledge and understanding through self-directed studies and use a variety of resources, including audio-visual media, library books and e-learning materials. In today’s busy world, I cannot always adjust my schedule to pursue a full-time education. Distance-learning enables me to study for an internationally recognised qualification without putting my life on hold. I can study by online and flexible learning, which allows me to combine my studies with work. The online learning system is useful, it allows me to study wherever I am and arrange my studies around my work or family life. My experiences at Nottingham Law School is that the staff are very approachable. They are more than willing to help if you need their guidance. Both the academic and administrative staff are very supportive. 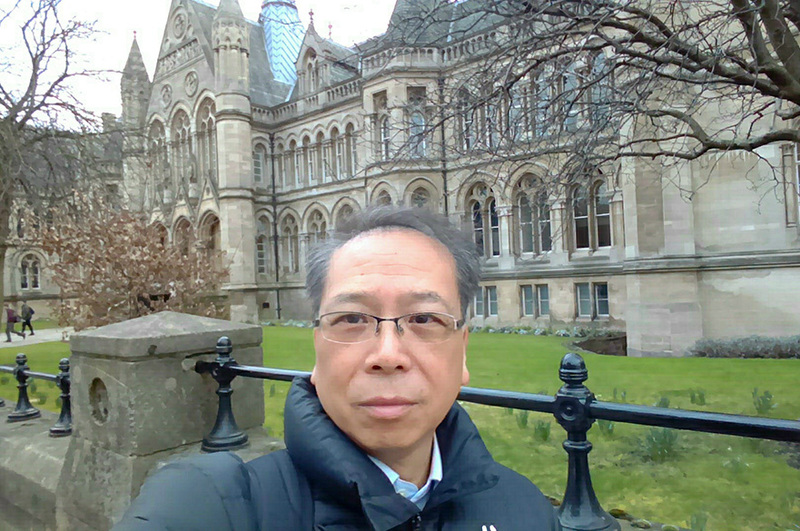 The reputation of the School and the friendliness of the staff with an international outlook were also important factors in helping me to choose to study Law at Nottingham Law School. The LLM taught me specialist research skills and I feel that I am a far better lawyer having undertaken the course. I would gladly recommend this course to everyone who works in law firms.